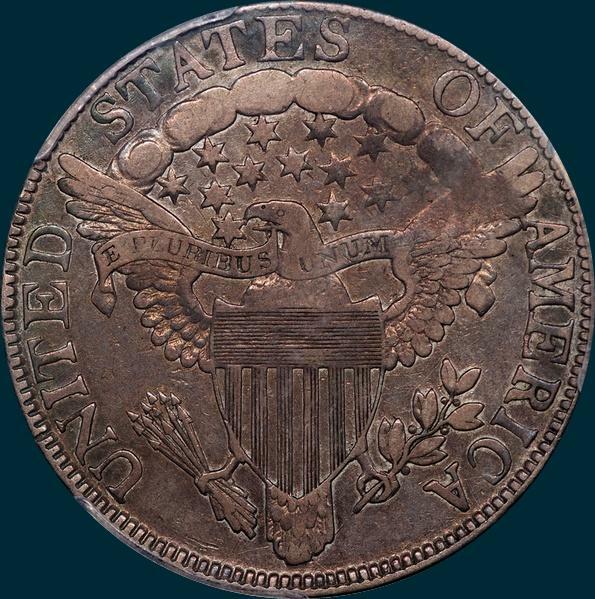 19-24 examples likely still exist, with maybe a single AU coin as finest. 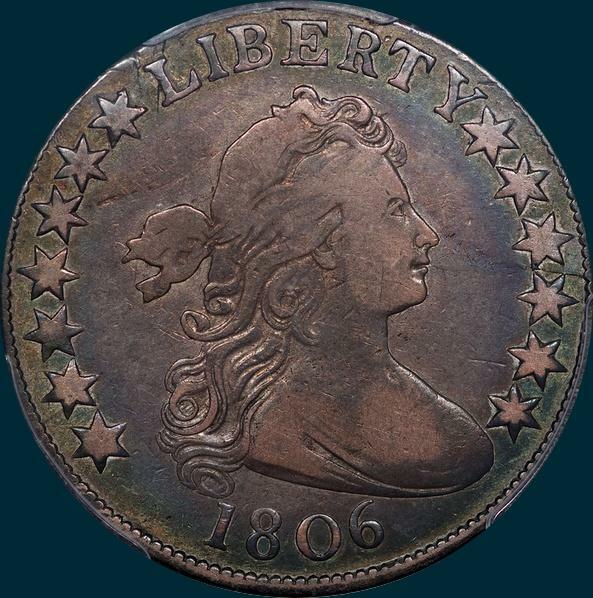 The obverse die crack formed early and led to the die's early retirement. Variety Attribution: Obverse-Stars are large and very close together. Date is 9 mm. and while it is high, both the 1 and 6 are clearly separated from curl and bust. 06 is closer and 6 is higher than 180. A heavy die crack from edge between stars 10 and 11 crosses field to upper lip and a much finer crack branches off to the nose on later die states.